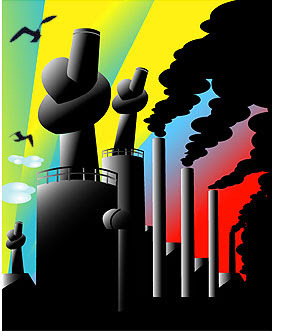 Governance Focus: Carbon: Europe's Lessons for the U.S. This is supposed to be the year of the green economy. U.S. President Barack Obama's $787 billion stimulus package has earmarked billions of dollars for renewable energy and efficiency projects. Pundits expect America to reverse its hostility to the Kyoto Protocol on Climate Change and lead this year's negotiations for its successor. And some form of federally mandated U.S. carbon dioxide credit-trading scheme is expected by the end of 2010. Yet before investors get carried away over clean tech, they should heed a few sobering lessons from Europe's almost decade-long experiment to create a more climate-friendly economy. Sure, the region's eco-innovation has won global plaudits, but the economic downturn is quickly taking the shine off Europe's effort to cut CO2 emissions. Widespread government subsidies, for instance, made countries such as Denmark, Germany, and Spain into global leaders in renewable energy.